You walk outside and it’s cold. Freezing, perhaps. All you want to do is get in your car and start it up so you can blast the heat. But there’s one problem: you can’t open the door. The driver door is frozen shut, but you may still be able to open the passenger door, rear doors or back liftgate if you have an SUV. You’ll have to climb through your car to the driver’s seat, but it at least doesn’t require extra work outside in the cold. The driver door should thaw once you start the car and warm it up. If all entrances are frozen shut, try applying pressure to the driver door by pushing into it. This might help break up any ice in the seal. If there’s visible ice on the handle, keyhole or door frame, use an ice scraper to chip it away. If you don’t have one, a hard-plastic object like a credit card would also work. Avoid metal objects, though, as they can scratch your car. If you have battery-powered hair dryer or if you hook up a plug-in hair dryer to an extension cord, you can use it to heat up the handle, keyhole and frame to melt away any invisible ice. Additionally, if your key is 100% metal with no electronic devices in it, you can heat it up with a lighter to get it through a frozen keyhole. Pouring lukewarm water over the handle and around the frame will melt the ice that’s keeping your door shut. Once the door is open, be sure to wipe away any excess water inside the door to avoid refreezing. Be sure not to use hot or boiling water, though, as the temperature difference can cause your window to shatter. Spraying a liquid deicer on the handle or in the frame will both melt the ice keeping your door shut and help prevent refreezing. You can find one at most auto parts and hardware stores. Now that you’ve successfully unfrozen your car door, you may be wondering what you can do to stop it from happening again. Try to park your car indoors, but if you need to park outside, consider covering it with a tarp. Also, purchase a rubber conditioner that you can apply to the seals. Home remedies like silicon spray, cooking spray, petroleum jelly or WD-40 can also be effective options, but these may be harmful to the rubber, so avoid relying on them regularly. Finally, be sure to replace any damaged seals that may be letting moisture in and causing your doors to freeze. A frozen car door isn’t ideal in bitter cold temperatures, but it doesn’t necessarily mean you can’t access your car. 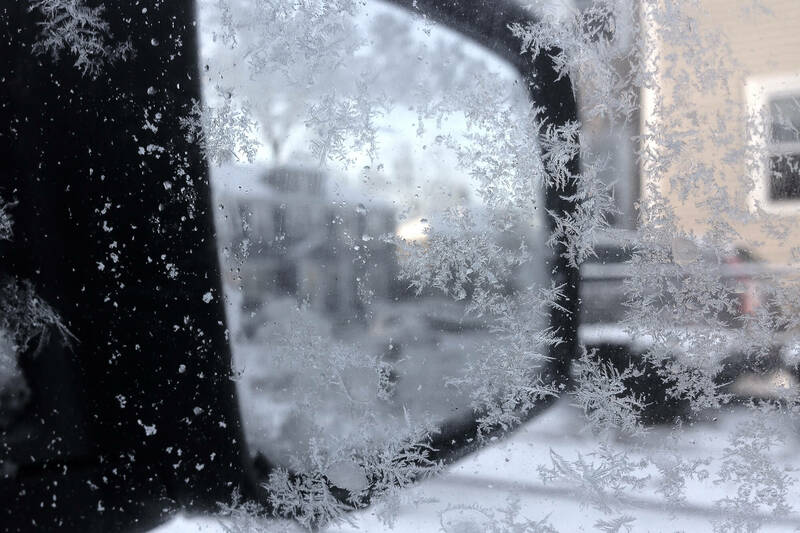 Just remember, though, this is only one battle in the automotive war with winter – if it’s cold enough for your door to freeze, it’s cold enough for the road to freeze. Stay safe once you get on the road by following these guidelines for driving in icy conditions.